Dr. Peter Duinker fosters experiential learning within his course structure offering opportunities to participate in real-life situations. These “hands-on” learning experiences enhances an individual’s ability to integrate knowledge and apply it to future learning scenarios. The DAL 200th Anniversary Tree Plant that will take place on June 9, 2018 is an excellent example of experiential learning. December 2017, three students, Racheal Cadman, Sara Solaimani, Nameeta Sharma came together to create a remarkable legacy to celebrate Dalhousie University’s 200th anniversary. Their presentation of “A Class Project on the 200 in 200 Dal Tree-Plant Project” was prepared as part of the Peter Duinker Class on Sustainable Urban Forest. The Dalhousie 200 Anniversary Tree Plant is an opportunity to turn the campus into a living classroom. Two distinct opportunities arise to promote environmental education and the urban forest. The first is during the tree plant itself, when students and community members will be involved in expanding the urban forest; the second is the creation of “Learning Groves” where students will be able to observe the benefits of the urban forest in action. The day of the tree plant should be considered a chance to teach volunteers about proper tree care and foster stewardship practices towards the urban forest. Hands-on, experiential education is demonstrably more successful in increasing environmental literacy when compared with classroom studying (Jose, Patrick & Moseley, 2017). It is therefore suggested that the planting team adopt an attitude of “campus as classroom” for the duration of this event. Volunteer team leaders will be largely responsible for encouraging experiential learning. The leaders will be knowledgeable about the urban forest, tree planting and tree identification. During the tree plant, leaders can teach volunteers about the value of the urban forest and answer questions. The Halifax Urban Forest Master Plan (HUFMP) identified the fact that many neighbourhoods in Halifax Regional Municipality have a lack of privately owned trees, and that education and outreach would be necessary to increase canopy cover (HUFMP, 2012). 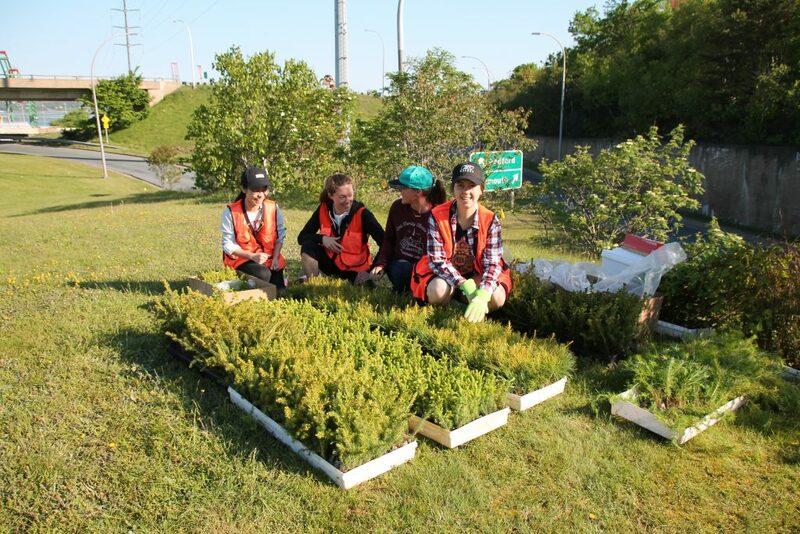 This tree plant provides an excellent opportunity for Dalhousie to teach volunteers specific skills such as how to plant a tree, how to care for a tree, and how to find native species. Volunteers can bring this information back to their homes and neighbourhoods to maximize care for private trees. The other major opportunity for education is the capacity of these planted spaces to become “learning groves” for future generations of students. The aim of this planting is to create groves that are as close as possible to natural occurring groups of trees. The groves will be highly accessible, so that classes of interested students in the Biology, Sustainability and Resource and Environmental Studies departments could visit the groves as active learning environments to identify native species and observe associations between species. Less environmentally-motivated students would still have access to these spaces; they will walk through the groves on their way to class and sit under them during warm weather. Thus, the learning groves will help to foster a “sense of place” for those who live and work at Dalhousie. Some of the values of urban trees, such as shade provision, aesthetics, and increased opportunities for recreation will be abundant on campus and will promote an appreciation for the urban forest. 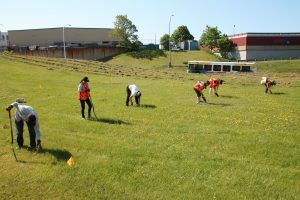 This is the second post that features the DAL200 project that will see 200 trees planted around campus. This project is championed by urban forest researcher Peter Duinker and his students, in partnership with HRM, Facilities Management, and the Office of Sustainability. Mark your calendars – the DAL 200th Anniversary Tree Plant will take place on June 9, 2018. Volunteers are welcome to join the celebration. Led by urban forest researcher Dr. Peter Duinker, the DAL 200 Tree Plant project will see 200 trees planted around campus in partnership with HRM, Facilities Management, and the Office of Sustainability. December 2017, three students, Racheal Cadman, Sara Solaimani, Nameeta Sharma came together to create a remarkable legacy to celebrate Dalhousie University’s 200th anniversary. Their presentation of “A Class Project on the 200 in 200 Dal Tree-Plant Project” was prepared as part of the Peter Duinker Class on Sustainable Urban Forest. 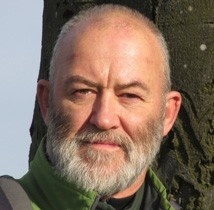 CFAME Connection reached out to Dr. Peter Duinker, Professor and Acting Director, School for Resource and Environmental Studies, Faculty of Management, to uncover the back story of this innovative idea. What came back was a professional, detailed and carefully organized proposal designed to encourage community engagement in sustainable living. In 2018, Dalhousie University will celebrate its 200th anniversary. The school has made a number of celebratory plans that will take place over the course of the year. To participate in the celebrations, the Faculty of Management will lead a day-long tree planting event on campus. A preparatory plan for that event is outlined here. The Dal 200th Anniversary Tree Plant will take place on June 9, 2018. In honour of the anniversary, 200 trees will be planted on the Studley and Sexton campuses. Rather than plant trees haphazardly around the school, however, these 200 trees will be planted in small stands at strategic points where students will be able to enjoy them. The stands will consist almost exclusively of tree species native to Nova Scotia, with one exceptional stand native to the Carolinian forest. These species were carefully selected and combined into groves that reflect the composition of forest stands growing naturally in Nova Scotia. This will not only increase canopy cover and beautify the campus for future generations, but will also be educational spaces, where students, faculty and employees of Dalhousie can learn about native tree species and experience natural forest growth. The tree stands are therefore called “learning groves”, to reflect their intended educative purpose. This post is the first in a series that will feature the DAL200 project that will see 200 trees planted around campus. This project is championed by urban forest researcher Peter Duinker and his students, in partnership with HRM, Facilities Management, and the Office of Sustainability.